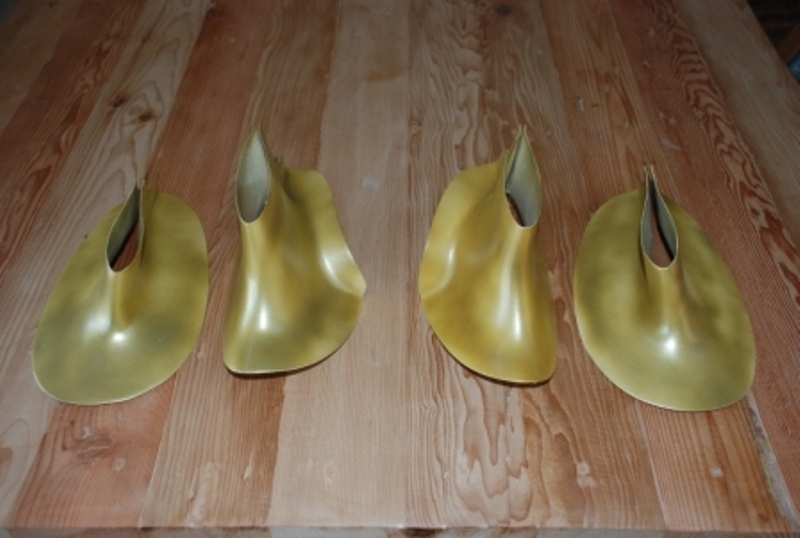 RV8 Intersection fairings – set of four. Professionally build by a professional. No more sanding and filling. No more pin holes. Lightweight. The bottom ones can be split and bonded to the wheel pants if that is your choice. They can be trimmed slightly smaller but are OK just as they come. Selling at about half the price compared to others available. Perfect fit, excellent finish, ready for painting. Beautiful intersection fairings were delivered in a timely manner. They fit perfectly and are ready for primer. They are reasonably priced and save many hours of forming and glassing my own fairings. I am very pleased with the finished product. I purchased this set as I was dreading doing them myself. This is a big time saver. The quality is excellent at a good price. Highly recommended. Click the button below to add the RV8 Main Gear Intersections Fairings to your wish list.